Figure 1. The Mongols likely influenced the idea of having minced meat, influencing the later hamburger. Few foods are associated with barbecues and summer in the United States as hamburgers are. Many ways exist to making them and we traditionally associate them with family and the enjoyment of good weather. While this might be the case today, the origin of hamburgers does go back far in time but the composition of hamburgers is a relatively recent development. For hamburgers, the main step is to ground the beef and often one mixes the beef with other seasoning. Already, something like this is known from ancient Roman recipes where a type of beef was cut or sliced and mixed with pine kernels and peppers. This food may have been a relatively luxury item intended for wealthy Romans, as meat would have still been relatively expensive at this time. The Romans may have used this food as something to serve guests or entertain them when visiting wealthy residences. 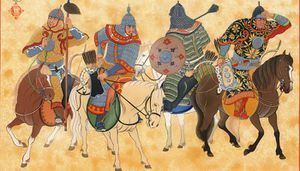 Later, during the period of the Mongols and their invasions of much of Eurasia in the 13th century, the concept of an easy to eat meat was needed as the Mongols prided their war-making skills and that required fast movement including nearly non-stop ridding across the steppe. Food had to be eaten on the go. The Mongols developed a way to mince meat down and store this meat, so as they rode they could even simply grab the meat as it was saddled to their horses and eat it on the go (Figure 1). They likely did not use any bread but effectively they developed a concept of 'fast food' that introduced meat being minced and stored easily. This type of meat production was later introduced by the Mongols to places in Europe that they came into contact with, in particular Russia. They usually used horse meat as this was not only widely available but also was able to sustain a high number of warriors relative to their nutritional value of horse meat and, of course, this meant they could eat what they brought with them as they moved around. This minced horse meat may have been the origin of 'steak tartare' that is still eaten today, although beef is now often used, with tartare being a reference to the Mongols. During the occupation of Moscow, for instance, Russian populations began adopting using stake tartare as a commonly made dish as it was easy to make. Similar to the Romans, the Russians and others often did not use bread to eat the meat with. The next important innovation in the road to developing the hamburger was the development of the sandwich. By the 18th century, ground beef had become more common in many places in Europe. In some places, sandwiches, or using bread to cover a meat and eating it, had begun to develop. Similar to eating beef, this was confined to mostly wealthy people. One of the first people to be recorded as enjoying sandwiches was John Montagu, the 4th Earl of Sandwich, where the word sandwich comes from. He enjoyed having bread with his meat because he did not like using knives and forks and did not want the food to dirty his fingers. While the sandwich likely existed before his time, his preference for it led to the term being used in reference of one eating beef or meat with bread covering the beef or meat. Figure 1. The Hamburg steak likely most directly influenced hamburgers, where it was often served with eggs and potatoes. n the 17th century, Russians trading and going to Germany, specifically Hamburg, brought minced meat with them including steak tartare. The city of Hamburg, in Germany, became a trade hub during this time that saw many eastern Europeans and those from the West coming to the port. Stake tartare was one of the foods that became well known in the city, with the mincing of meat along with sausages among the different delicacies of the time. However, the journey to the hamburger still required some other changes. First, it was the migration of many Germans, including from Hamburg, and those exposed with food from Hamburg, being aware of minced meat being a favorite from the town, that began to create an American idea of hamburgers. Migration in the late 18th century and throughout the first half of the 19th century from Germany began to increase in the United States. German identity began to become very strong in many areas. In New York, food from Hamburg was particularly popular. This included steaks and minced meats such as steak tartare. 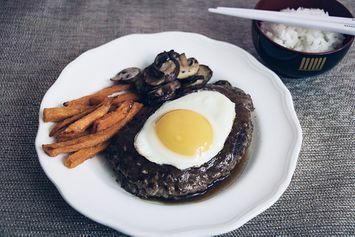 It was not just stake tartare but also other foods such as the Hamburg steak and other meat dishes that were served often lightly cooked but served with different flavorings and spices that became popular in much of the eastern and later western parts of the United States (Figure 2). Although minced meat and what emerged as the Hamburg steak had been around for some time, it was only in the late 19th century, with industrialized meat processing, that Hamburg steak began to become more popular and widespread. With increased wealth, beef also became more affordable and popular in the United States in the late 19th century in the 1880s and 1890s in particular. Chicago, during this time, arose as a central hub for meat processing as it had developed a vast network of rail that much of the country was tied to; the innovation of refrigeration also played an important role in spreading the popularity of meat. The rise of meat and beef in particular led to a lot of experimentation with beef-related products, including different types of minced beef and steaks. Most likely we will never know the exact origin of the hamburger but it is very likely related to the increased influence of Hamburg-based beef production and steak, while the rise in popularity of beef and meat in the late 19th century likely led to developments such as the hamburger. The name 'hamburger' suggests an origin from Hamburg-style food, but who was the first person who put grounded beef together within two slices of bread is claimed by multiple people. One possibility is Charlie Nagreen (1871–1951), from Wisconsin, may have influenced the idea of a hamburger. He was selling Hamburg steaks and customers began to complain it was hard to eat them on the go as he sold his food at a street stall. He may have been among the earliest to flatten the steak and use bread as a way for his customers to grab the meat and eat it. The town of Seymour, Wisconsin, where he was from, still celebrates this and has led to the nickname "Hamburger Charlie" for this development. Although the origin of the hamburger was likely sometime in the late 19th century as the factors of minced beef, popularized in Hamburg, and industrialization began to develop, it was the early 20th century the food became well established and began to reflect the nature of the changing American economy and life. In the late 19th century and early 20th century, US cities grew at a phenomenal rate. Meat was increasingly in great demand and also cheap food was on the rise. Hamburgers began to be associated with greasy places and often low-quality food for the masses. This, however, changed with Walter "Walt" Anderson and Edgar Ingram opening the first White Castle restaurant in Wichita, Kansas. What was different iss they utilised Anderson's idea of flavoring burgers with onions and other toppings while also creating hamburgers quicker and in higher number in an efficient assembly line process. This began to be called the White Castle System. The birth of "fast food" had begun in the 1920s as now the concept of the White Castle System spread and many branches began to open throughout the Midwest. What also greatly differed from earlier hamburger places is the meat was seen as 'safer.' Sinclair's famous book, The Jungle, did cause a re-evaluation of the meat packing industry and food standards improved. White Castle developed a more positive perception in the minds of consumers, leading to its popularity and spread. Richard and Maurice McDonald introduced what would later become the popular McDonald's brand in the 1940s. They developed a system called the Speedee Service System that also created hamburgers fast and efficiently. They also got those hamburgers out to cars where people sat around waiting for their burgers as they were made. The drive-in concept was born and became very popular with customers, helping to spread McDonald's appeal. The McDonald brothers were also very innovative as they modified their kitchen to make the process efficient, including developing their own grills, introducing disposable forks and knives, and even dishwashers in restaurants are attributed to them as a way to speed up the process. However, it took Ray Kroc, whose story was highlighted in a recent movie (The Founder), who developed the idea of a franchise. The standardization of the burger making process was now the same for all restaurants and other foods, including milk shakes and french fries, were standardized and used different materials to speed up the process, perhaps at the expense of nutrition and quality. The hamburger meat itself was now standardized and processing of the beef was done before it arrived in the restaurants in a form of a meat patty. Nevertheless, the McDonald's name now took off as restaurants spread throughout the country using the standardization introduced and pushed by Kroc and his fellow franchise owners. Kroc and his colleagues also internationalized McDonald's, bringing the food to many countries and places, including Germany where arguable the concept of a hamburger was heavily influenced by that country's foods and Hamburg specifically. Few foods represent Americana as hamburgers do. In many ways, that is an appropriate perception as the food itself symbolizes the industrial process, the fast-paced life, development of franchises, and efficiency in production that have been characteristic of the United States rise to power. Hamburgers are not only popular in fast food restaurants but even as some fast food chains have somewhat suffered in reputation over the years, the hamburger itself has not suffered and continues to be popularly made. ↑ For more on Romans and the use of beef and preparing it into a type of meat patty, see: Parla, K., & Gill, K. (2016). Tasting Rome: fresh flavors & forgotten recipes from an ancient city (First edition). New York: Clarkson Potter/Publishers. ↑ For more on the innovation of steak tartare, see: Tomaino, A. (2010). The grill Junkie burger-a-day cookbook: what fires you up?. Lulu.com. ↑ For more on the history of the 'sandwich' see: Wilson, B. (2010). Sandwich: a global history. London: Reaktion. ↑ For more on the spread and influence of German foods, including steaks from Hamburg, in the United States, see: mith, A. F. (2008). Hamburger: a global history. London: Reaktion Books, pg. 8. ↑ For more on the rise of the American hamburger, see: Schlosser, E., & Wilson, C. (2006). Chew on this: everything you don’t want to know about fast food. Boston [Mass. 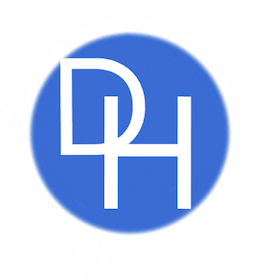 ]: Houghton Mifflin Co, pg. 271. ↑ For more on the rise of the hamburger during the early 20th century, see: Levenstein, H. A. (2003). Paradox of plenty: a social history of eating in modern America (Rev. ed). Berkeley, CA: University of California Press. ↑ For more on the rise of the post-World War II franchises and modern hamburger in chain restaurants, see: Hogna, D. (1999).Selling 'em by the sack: White Castle and the Creation of American Food. New York, New York: NYU Press.